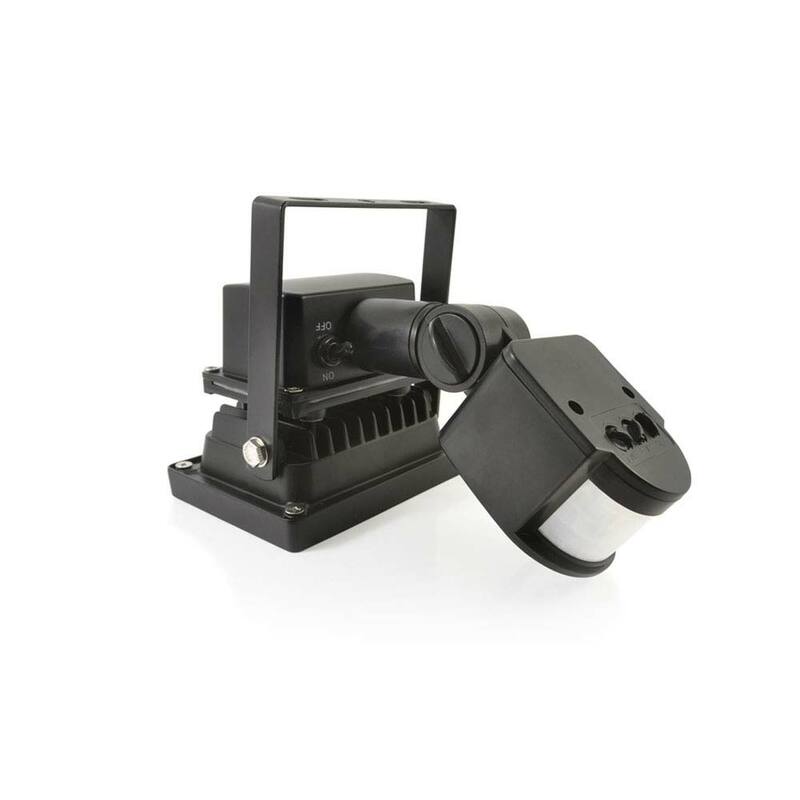 Secure your property quickly and easily with this 700 Lumens high-quality motion activated Evo SMD Pro Solar Security Light. 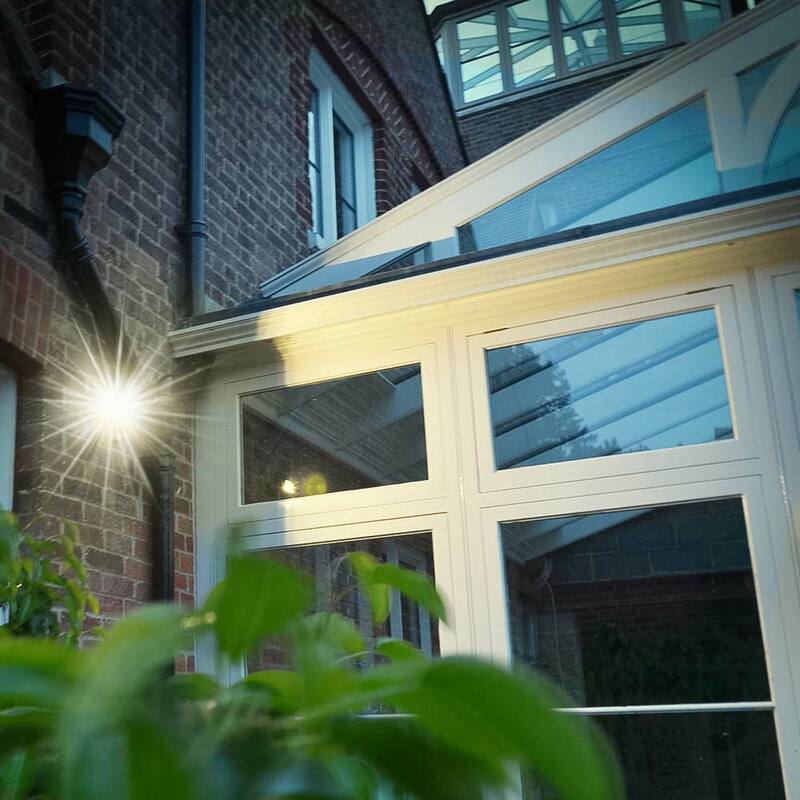 This price-busting state-of-the-art warm white solar security light can be mounted virtually anywhere in your property with minimal DIY skills and without the need for a mains power supply. The Evo SMD has an exceptional level of waterproofing and is designed to work in UK winter time. 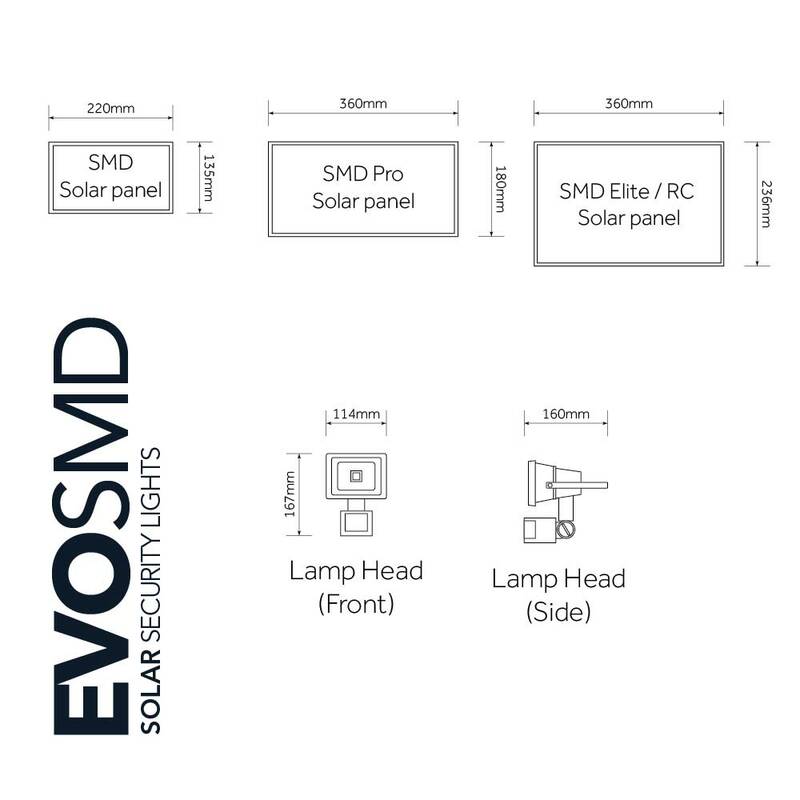 Once installed the Evo SMD Pro will protect your home each night for free - even during lengthy power cuts. IP56 rated for superior water resistance. Activation time can be set from between 15 seconds and 3 minutes. This light works well running on two extension cables. Easy set-up. Very good product. Fast delivery, easy to fix and adjust sensitivity of motion sensor for the job I wanted (to light entrance to house). I was surprised how bright the spot light is, very happy. Have other solar centre products and will be ordering more. Highly recommend this company and their products. The light is a present so I am not able yet to comment on the actual product. However I found the video useful and I have given it 5 stars for the fact that it came so quickly. Very impressed. The light arrived very quickly. It was easy to fit .I left it for a few days before switching on and it is working well. I would recommend the products and this company. Very efficient indeed . 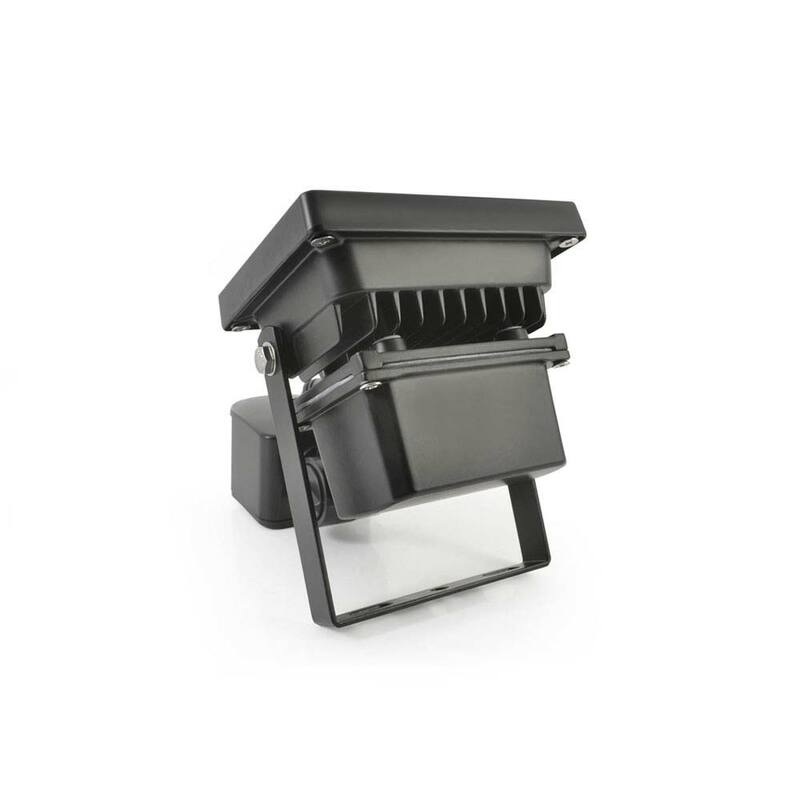 The Evo SMD Pro Solar Security Light offers mains equivalent brightness from a highly compact unit that offers truly exceptional waterproofing and can deliver 500 activations lasting 30 seconds each from a full charge. The activation time can be set so that the Evo SMD lights up from between 15 seconds and 3 minutes each time it detects motion. 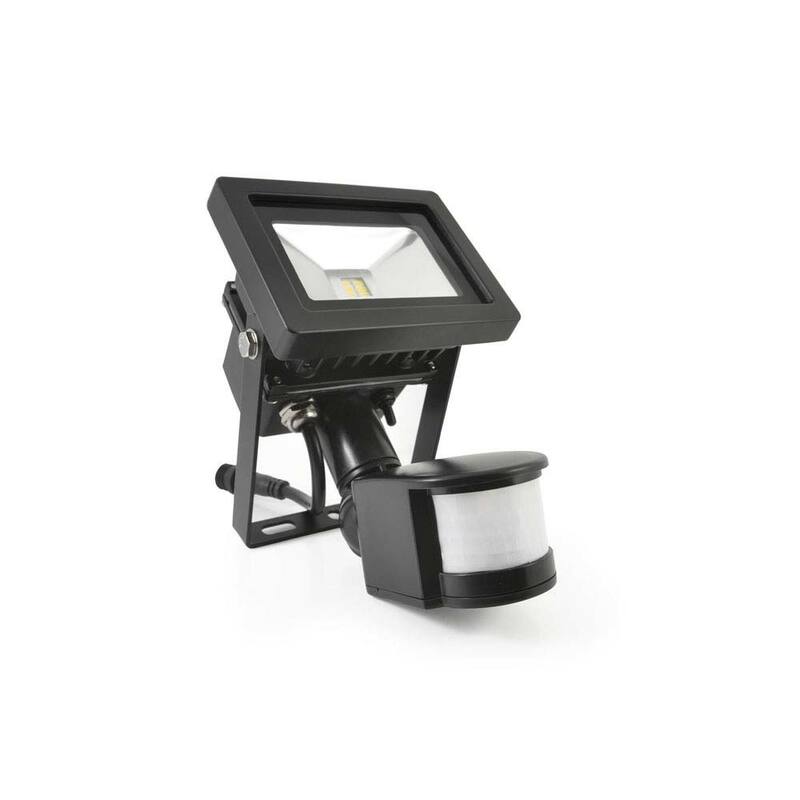 At 700 lumens the Evo SMD Pro offers double the brightness of our highly successful Evo SMD Solar Security Light (350 lumens). The Evo SMD Pro uses a high performance rubber compression seal and numerous waterproof O-rings on the light body and motion sensor which guarantee superior waterproofing to IP56 standard. During the day the Evo SMD Pro's solar panel charges its internal battery giving it the power it needs to light after dark. 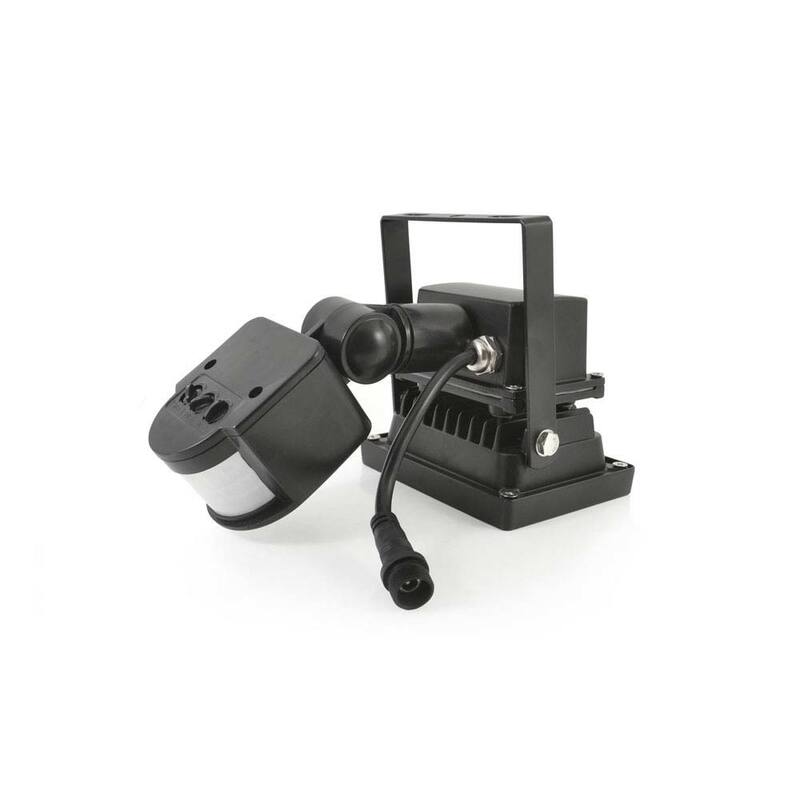 After dark the Evo SMD Pro will activate as soon as it detects motion. At dawn the Evo SMD Pro stops activating and starts charging again ready for the night ahead. The Evo SMD Pro comes with a 1 year guarantee which is double our standard guarantee period. Hi - how long is the cable supplied with the light. Also can you buy an extension cable. 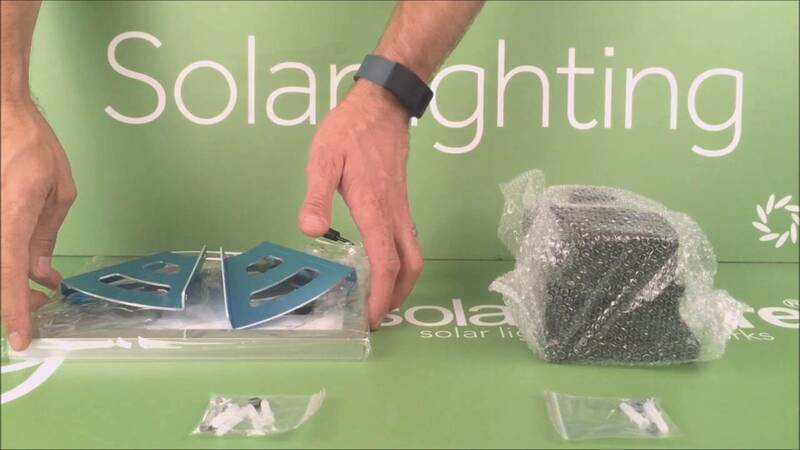 What is the maximum length of cable that can be used with the solar light. Many thanks. The light comes with a 5m cable. You can buy additional 5m cables here. We would recommend a maximum of 3 cables, each cable reduces the power from the panel but if the position of the panel is better then this will far out compensate the loss. Can the solar panel be mounted vertically on a wall or does it need to be set up horizontally on a flat surface? 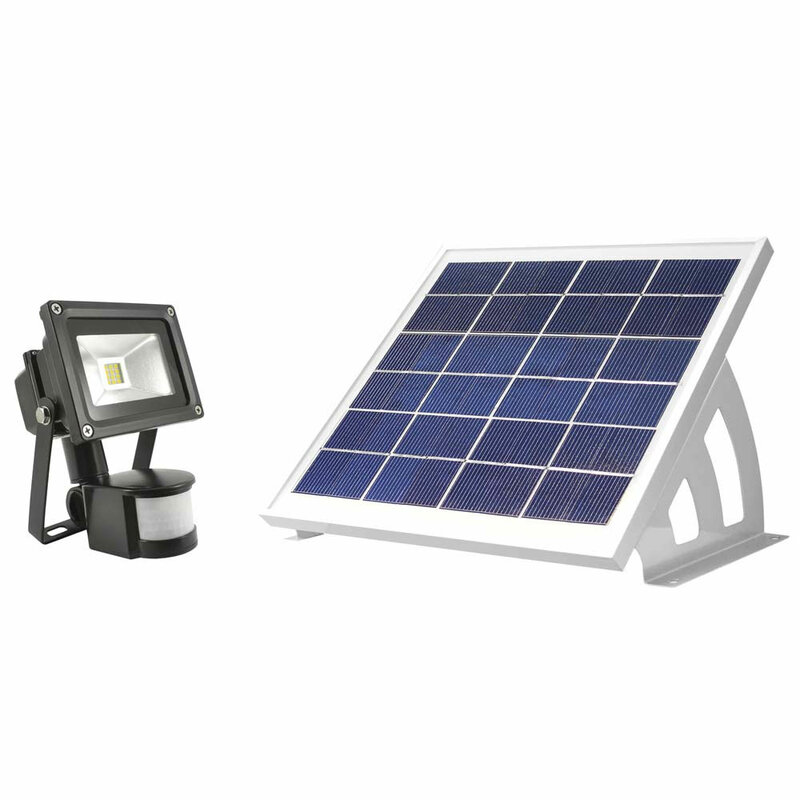 The solar panel can be mounted vertically or horizontally - any flat surface will do the job. We would expect the SMD Pro to last for 2 - 3 years as a minimum before the battery may need replacing. This may vary depending on environmental factors and the choice of installation location.